What can we learn from our ancestors’ photos? 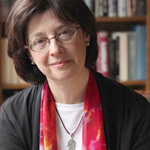 Ava (Sherlock) Cohn, the Jewish genealogy sleuth, explores how and why it is important to find the clues our ancestors left us in their photographic portraits. Sherlock defines photo genealogy and explodes common myths about dating Jewish photos. Learn what clues an expert looks for, how to organize an approach to dating and interpreting photos and how to match photo information with vital records. Sherlock presents two of her challenging cases to show how accurate dating, photo identification, knowledge of fashion, and matching records can shed light on our relatives’ lives and the social context in which their photos were taken. Bring your old photos for identification! Our speaker will be available after her lecture to examine your old family photographs for clues on when and where they were taken. 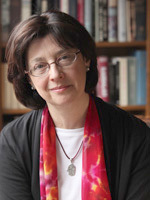 Ava Cohn aka Sherlock Cohn, The Photo Genealogist, is an internationally known genealogist and expert on Jewish family photographs, concentrating on accurate dating combined with specialized knowledge of immigrant and Eastern European culture and traditions. She has a degree from Brandeis University and studied decorative arts, art history, and costume history at the Victoria and Albert Museum, London. There will be a short annual meeting with a report and elections of officers and board members for the coming year.